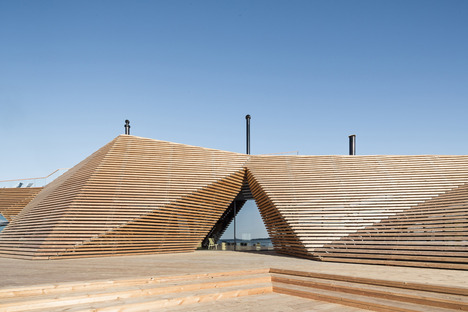 The unusual combination of a restaurant with a sauna may be found in Avanto Architects’ Löyly project in Helsinki, a building overlooking the sea with a dome of wooden strips protecting a glass box in its interior. 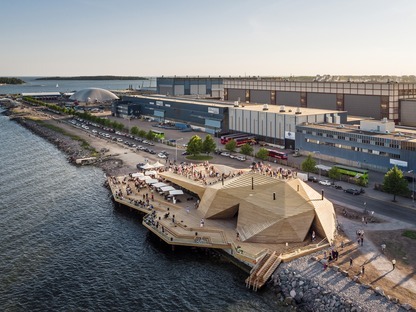 Five million Finns have three million private saunas and are now demanding public saunas as well, to the point that new versions continue to appear, revitalising what used to be a thriving industry. 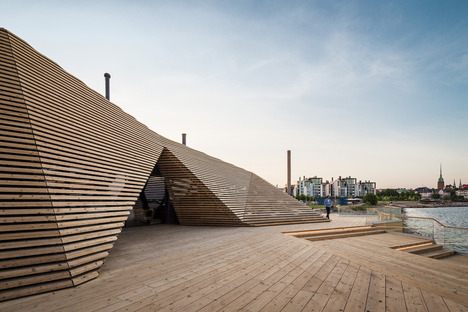 Every home in Finland has a sauna, and the clients for the Löyly sauna wanted to combine it with a waterfront restaurant, in a project designed as part of the revitalisation of the entire neighbourhood with new buildings with the intention of increasing the local population. 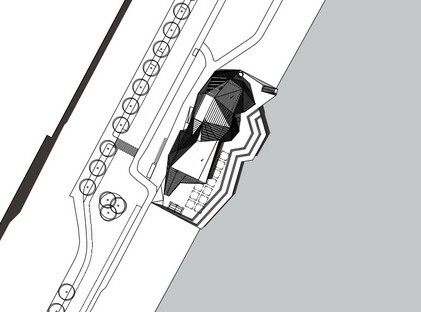 All this will lead to an increase in watersports, which may be observed from the roof of the building and the stands by the sea. 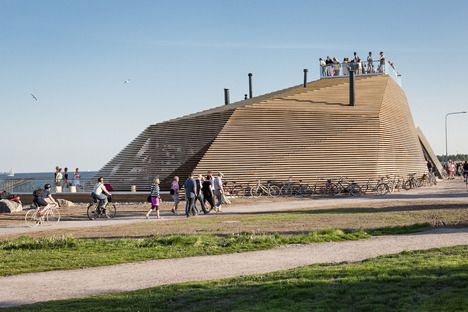 The project, consisting of a box of steel, glass and concrete, is covered with a geometric carapace made up of triangular surfaces characterised by horizontal strips of wood screwed onto a steel frame. 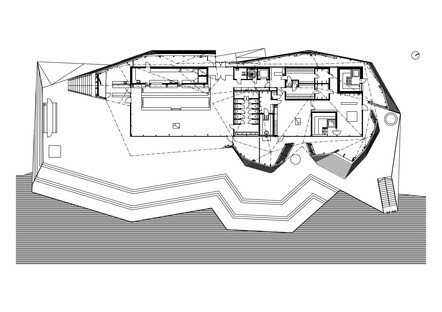 In short, a very simple technology with reassuring details of construction, which are however intentionally concealed. 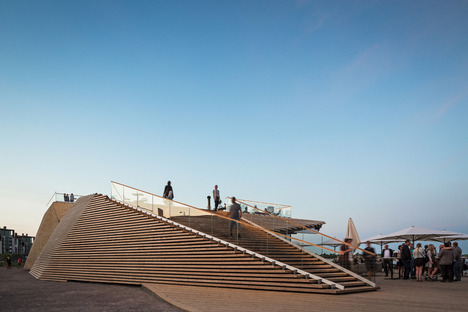 The box containing the restaurant and sauna is divided into two parts; the restaurant, though screened by the slats, has a direct view of the sea and is pleasantly illuminated with natural light, while the sauna is more densely screened so that the sun’s rays are blocked by the wooden slats. 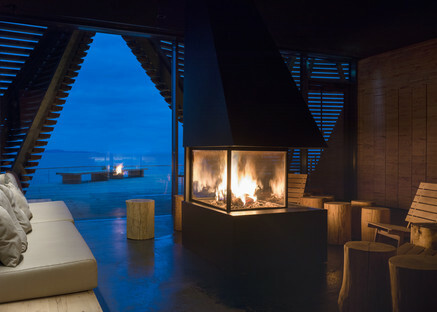 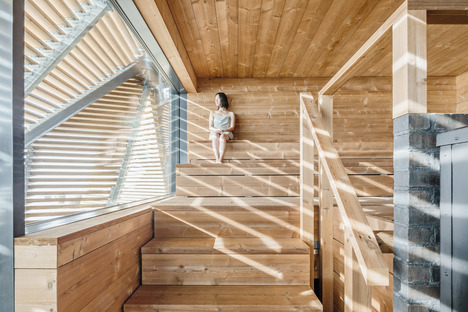 The strips of wood filter the view of the sea and the view from the outside in to provide greater privacy. 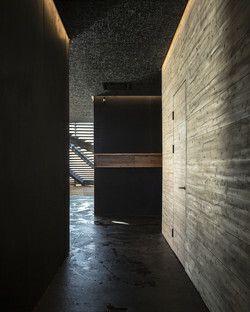 The materials used in the project are minimal and well-balanced. 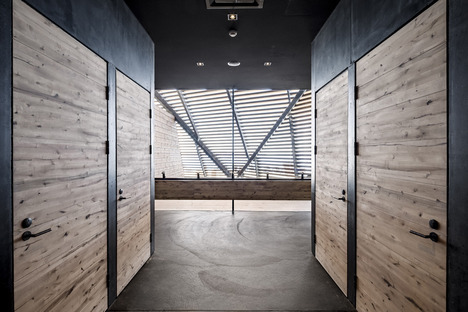 In the sauna, black concrete contrasts with Finnish maple, the veins of which tone down its cold consistency. 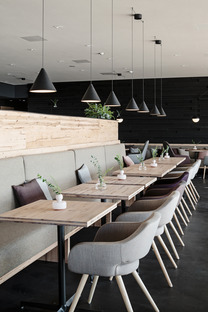 The restaurant, on the other hand, is coloured in a way that makes the transition from hot temperatures to the cool dining room almost visible, with the lighter shades of grey typical of concrete.